Distant, silent, often drunk, Walter Urban is a difficult man to have as a father. But his son-the narrator of this slim, harrowing novel-is curious about Walter's experiences during World War II, and so makes him a present of a blank notebook in which to write down his memories. Walter dies, however, leaving nothing but the barest skeleton of a story on those pages, leading his son to fill in the gaps himself, rightly or wrongly, with what he can piece together of his father's early life. 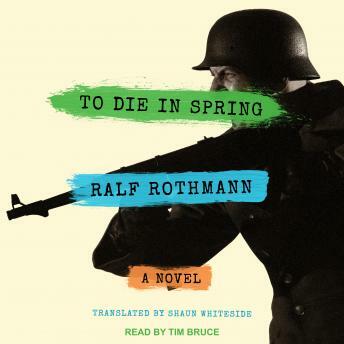 This, then, is the story of Walter and his dangerously outspoken friend Friedrich Caroli, seventeen-year-old trainee milkers on a dairy farm in northern Germany who are tricked into volunteering for the army during the spring of 1945: the last, and in many ways the worst, months of the war. The men are driven to the point of madness by what they experience, and when Friedrich finally deserts his post, Walter is forced to do the unthinkable.